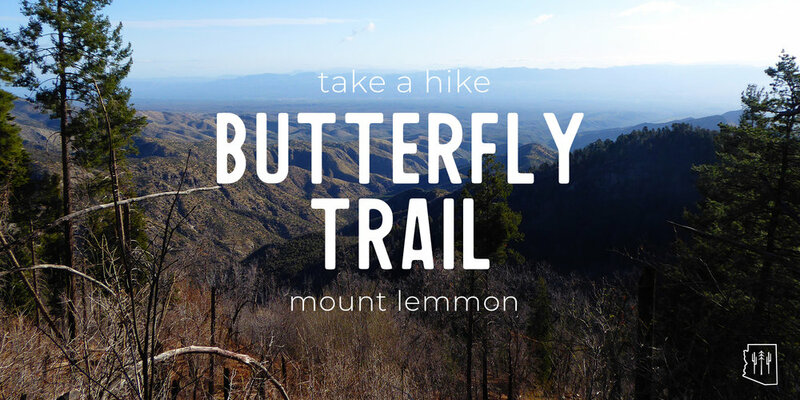 Mount Lemmon is home to many stunning trails, and the Butterfly Trail is one of the most popular options. 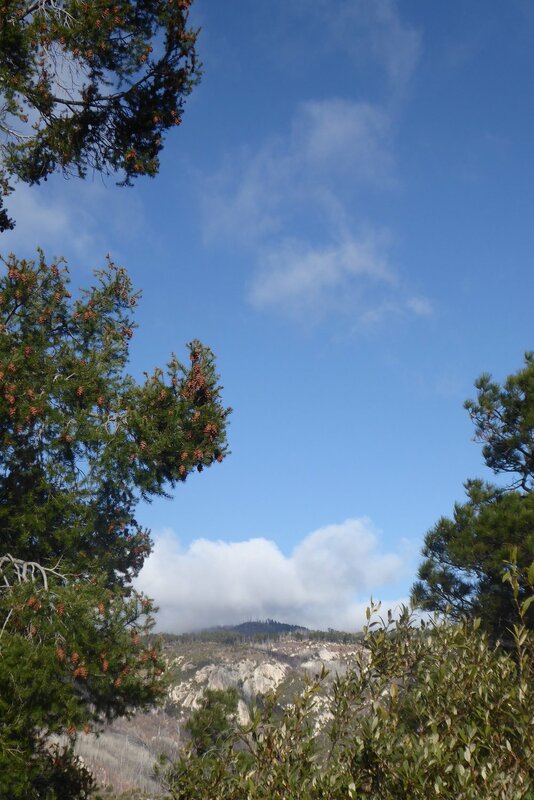 On the lesser-seen North-facing side of the mountain, the trail winds through various trees, plants, views of Mt. Bigelow, and of course butterflies! This trail is shaded for the majority of the time, so any time during the day is alright, though the middle of the afternoon will be hottest. Late Spring through Fall will have the best weather and display of biodiversity. Accessibility: Car needed to park at the trailhead. If want to hike all the way through, many people have recommended arranging to go up with two cars and parking one at each trailhead. 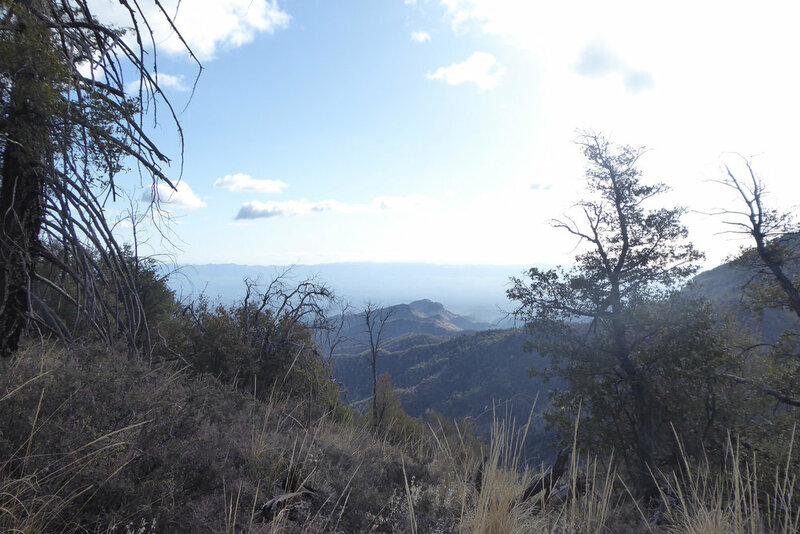 Starting at the upper Butterfly Trailhead, the trail almost immediately opens up to amazing views of the North-side of Mount Lemmon. The trail weaves around the side of the mountain and gradually descends, which unfortunately means the way back to the car is ascending. However, incredibly unique plants, including ferns, ponderosa pine, Douglas fir, yucca, oak, and alligator junipers, surround the trail. Springtime is especially exciting with the crisp air and new growth seen all around the trail! In fact, the biology is so diverse that part of the trail is designated a Research Natural Area. Don’t be afraid to venture off the main trail to smaller ones –you might see special views of the mountains with one of them pictured. 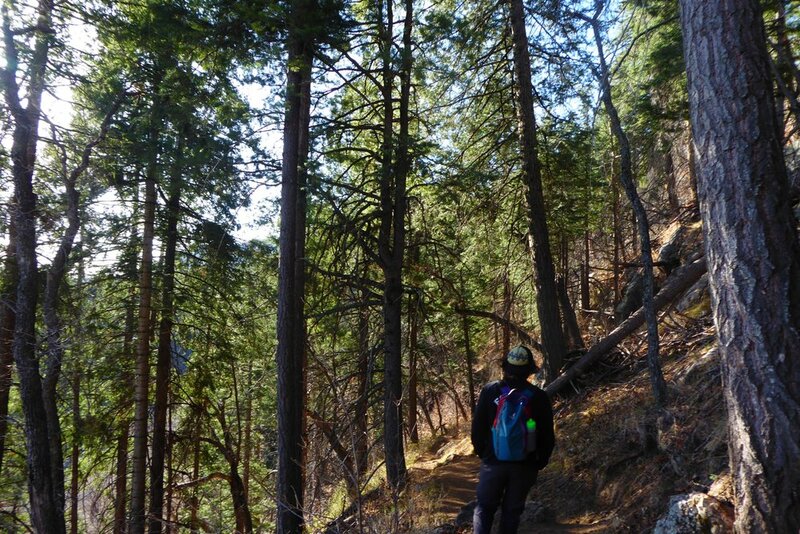 Walking further, the trail enters a canyon near Novio Falls before it climbs towards Mt. Bigelow. One interesting sight is the wreckage of a F-86 fighter jet that can be seen on a little side trail at 32.42549 N, 110.71816 W. More about this crash can be found here. All in all, this trail is a fan-favorite due to its incredible views throughout that allow hikers to hike whichever distance and route they would like, and have an enjoyable time. Tip: If an easy hike is desired, going out about 1.5 to 2 miles then turning back is recommended for very minimal elevation change. Take Catalina Highway off Tanque Verde Road to drive up Mount Lemmon. Continue for 19 miles after the Forest boundary to the Palisade Visitor Information Center, or continue for another 4 miles to the Solider Camp access road (on the right) for the upper trailhead.